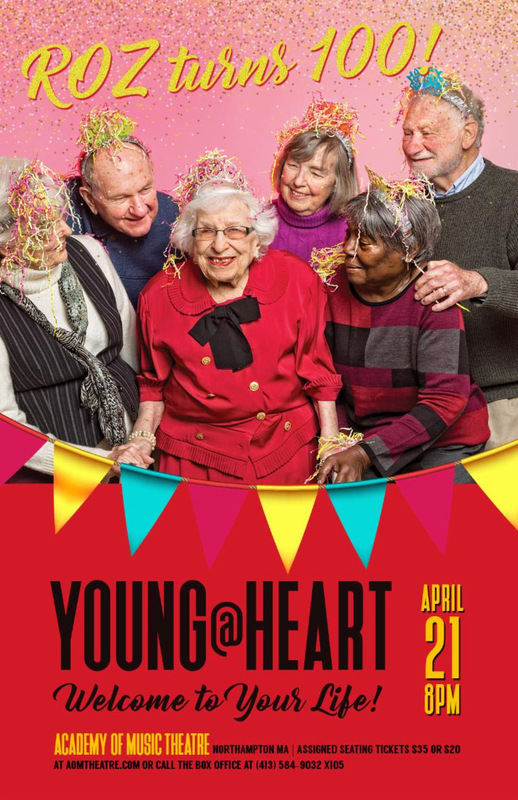 WHAT: Young@Heart Chorus "Welcome to Your Life"
On April 21st we perform the show "Welcome to Your Life". In the first half of the show we will preview the work that will tour to the Netherlands and Belgium. It features the re-interpretation of music ranging from the Talking Heads to Radiohead and Soft Cell to Sam Cooke. The second half of the show will be a very public celebration of Roz Cilman's 100th birthday (Born April 21, 1918!). Mrs. Cilman is the mother of Y@H Director Bob Cilman. The music of Laurie Anderson, Phil Ochs and the Specials will help put the frosting on the cake. The last time Young@Heart was able to celebrate a 100th birthday was for Anna Main back in 1995.